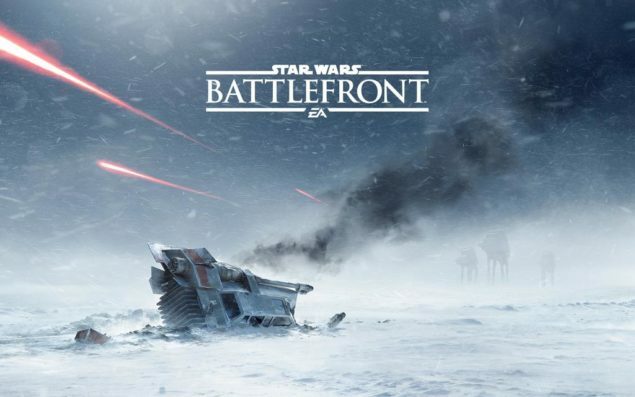 The previous rumor about EA revealing the first gameplay of Star Wars Battlefront at the upcoming Star Wars Celebration convention, appears to be true. Last week it was discovered that Electronic Arts (EA) was listed as an exhibitor that would be present during the Star Wars Celebration convention. You’ve Been Patient Young Padawans, and soon your Patience will be Rewarded. We’re thrilled to share that Star Wars Battlefront will be taking part in Star Wars™ Celebration next month in Anaheim, CA from April 16-19. We could not think of a better or more appropriate place to debut the game officially for the first time than the premier event that celebrates the Star Wars universe and the legions of fans who have fallen in love with it. For more information on Star Wars Celebration and ways to attend, please visit http://starwarscelebration.com. We will see you at Star Wars Celebration! For those of you who don’t know, the Star Wars Celebration is a convention celebrating the gigantic Star Wars franchise, be it the movies, novels and comics or the games. The convention features four full days of exhibits, panels, screenings, a chance to get an autograph from some of the actors and other people from the franchise, and last but not least a boatload of merchandise. The convention kicks of on April 16th, and will end on April 19th. The convention itself is being held in Anaheim, California. And I’m quite excited now that it’s official that EA will show us something, and in all likelihood it should be some gameplay. We will bring you any new information when it is available. Here is a link to the above announcement.